The Boeing EA-18G Growler is an American carrier-based electronic warfare aircraft, and a specialized version of the two-seat F/A-18F Super Hornet. 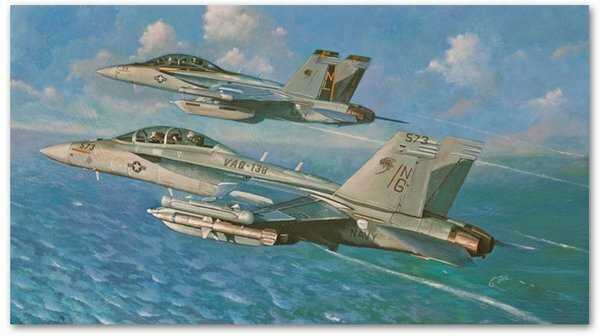 The EA-18G replaces the Northrop Grumman EA-6B Prowlers which have been in service with the United States Navy and Marine Corps since 1971. The EA-18G began production in 2007 and entered operational service in late 2009.